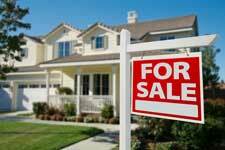 Our past seller clients in the Minneapolis real estate markets send us new business by referral constantly. This is because they’ve experienced our stellar seller services package and want their friends and family to experience it as well. We realize that the value we bring to the Minneapolis real estate selling process is in a package of services that takes a seller from an idea to sell through a very complex and detailed process and culminates in leaving the closing table with a check. We are not doing our sellers a service by misleading them or letting them proceed without a thorough, honest and objective evaluation of their property prior to pricing and going to market. Let us give you this opinion, but also ideas and strategies to improve your property in the current market environment. One service that we believe is extremely important in Minneapolis real estate markets is helping our listing clients to objectively evaluate their homes for marketability. Some brokerages do a once–over to get the information to put into the various information fields in the listing . However, we go much more into the detail of the features, characteristics and condition of your home. Condition – Minor repairs can also make a major difference. Many buyers assume that a need for minor repairs indicates a general lack of fundamental maintenance over time. They’ll discount their offer, if they make one, thinking they’ll have a lot of work to do to bring the home to a good condition. So, we are honest with you about things that we see and buyers will see and consider in their evaluation. From cracked window panes to scarred walls or doors, we’ll let you know what we believe is important and make suggestions. We are here to make sure that your home enters the market in the very best competitive position possible. A thorough and objective evaluation is an important step. What would an upward or lower price adjustment look like based on the current market CMA? Well, let’s look at an example. Let’s say that the CMA of previously and recently sold similar homes shows that the listing price should be around $235,000. However, those sales were between one month and three months old. Our current market listing CMA shows that similar homes in the neighborhood are listed at $249,000 or thereabouts. We all may decide that the market is improving and justifies raising the listing price of your home to $245,000 so that it’s still competitive but a better deal for you. Of course, this can work the other way as well. A proper list price that reflects current and realistic market conditions is critical to getting your Minneapolis real estate property sold quickly. We don’t want you to under–price, but it’s worse to over–price in any market. Buyers discount value by DOM, Days On Market. The longer a home stays on the market, the greater they’ll discount their offers. So, a realistic list price is how we make sure your property sells without languishing on the market. How do I come up with a suggested list price that reflects your home’s competitive position? It’s a combination of services and experience, and we are going to be very careful and detailed in our analysis and market evaluations to make sure that you don’t leave money on the table or sit around wondering why you aren’t getting offers. First we select comparable properties out of those sold recently and in the neighborhood or nearby. These “comparable” or “comps” are selected based on similarity in features, location and characteristics with your home. They must have been sold as recently as possible so the sold prices are of maximum value. Do you know how many comparable properties to your home came on the market this week? How about how many were sold or taken off the market? Markets are constantly changing, and it’s our job to monitor these changes and keep my listing clients informed. Changes in the competition don’t always require a price adjustment, but they may. Sometimes they just cause us to make changes in our marketing approach, putting emphasis on features that are no longer available in currently listed comps. Whether we are suggesting a price adjustment up or down or not, we are always concerned with our seller clients’ peace of mind that their real estate property is properly priced and positioned in the market. Use the form on this page to tell us about your property and we will do a preliminary CMA for you with recently sold comps in your area. We'll need more data to do the best job, but you can begin to see how the process works. Good markets or slow markets, buyers are always trying to pay the lowest price or negotiate for seller concessions. We do this every day, and we will help you to respond to offers and counter offers unemotionally and with the very best end result. We love helping Minneapolis real estate buyers to find the perfect property. But we love even more the ways in which we can help them to buy it at the very best price with the very best terms. Sometimes negotiations aren’t all price. A great contract can involve other seller concessions that create the right deal for our buyer clients. Real estate market data – How can you be expected to make price offer decisions in a vacuum? We spend a great amount of time and effort in collecting market data to help mour buyers in their price negotiations. This data involves not only sold property prices by neighborhood, but also current listing pricing to determine the competitive nature of the market. This data is very thorough, and it’s call a Comparative (or Competitive) Market Analysis. There are two parts, the comparison of the property you’re considering to similar properties recently sold in the nearby area. This gives us a firm grip on what has happened in the near past, but by nature it is “past” data, thus possibly not accurate for the market as it is when you’re in negotiations. We then do another CMA process on the currently listed properties most like the one under consideration and in the same neighborhood or nearby. This gives us a current market snapshot so that we can adjust my valuation model and my offer to reflect the current market situation. It’s not over till it’s over – Many real estate price negotiations involve multiple counter offers and a lot of back–and–forth. We're with you with each counter offer to adjust your negotiation strategy accordingly. Because we can’t know the seller’s financial limitations in many deals, some buyers are elated when they cut a major low-priced deal on a home, but then after inspections they hit a brick wall in negotiations with the seller related to repairs. The negotiation to purchase a home isn’t over with the price on the contract, and it’s best to know that a real deal at the front end could result in less flexibility after inspections in the repairs discussion. While our sellers tend to become less stressed as soon as all of the purchase contract signatures are in place, We are with them and ready for the next negotiation phase. Property inspections can frequently result in buyer requirements for corrections by the seller. Whether you’re prepared for these or they come as a surprise, we're here to help you to deal with them, as repair disputes are the most frequent reason for contract failures before closing. Part of our job is to help you to avoid too many “surprises” related to condition and repair negotiations after inspections. We'll do my best to give you information about what we see that buyers may want corrected, but there are definitely things that nobody can anticipate until the inspectors have submitted their reports. So, there’s one other thing we try to do in order to prepare you and leave some negotiation room for you. Our seller clients really appreciate our services in listing, marketing and getting a buyer signed on the dotted line on a purchase contract. However, neither they nor we can rest just because a contract is inked. There are more than 50 tasks and deadline deliveries on my normal residential seller side real estate transaction checklist. And, we take our responsibilities seriously in the processing of all documents and meeting of all deadlines. Let’s cut through the hype you may be seeing as regards Internet marketing of Minneapolis real estate. Sure, every agent worth its salt has a website. And, our website is better than most in presenting our seller listings to showcase them to their greatest potential. And, we are really good at all of that SEO, Search Engine Optimization, stuff. That’s the stuff we do on my site to get as high in search engine results as possible to get the most in search engine visitor traffic. Why tell you this? We want you to learn about the power of “syndication,” and why we spend significant resources, time and effort in syndicating your listing information to a great many real estate websites much larger and more heavily visited than any local real estate websites. We have systems in place to have your listing on dozens of websites, including Yahoo, Trulia, Zillow, and others, and within days of your listing going live. So, although we are getting great search engine exposure, We are not relying on it to be our only resource to sell your home through online marketing. Each of those sites to which we syndicate your listing will have links back to the original and complete listing at my website. It’s there that we shine in marketing your Minneapolis real estate property once we’ve attracted visitors from these other sites. Once a buyer gets to my site from these many conduits, we don’t just let them look and leave. We offer showings and other special information about the market and your property in exchange for their contact information. If we can get into direct contact with them, it’s going to increase my chances of selling your property to them. We get a great deal of our listing business from referrals by our satisfied sellers, so don’t hesitate, let me get started in helping you today!